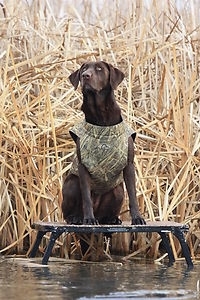 The Jr. Ruff Dog Stand by Avery Outdoors Greenhead Gear GHG in Marsh Grass is made in MarshGrass camouflage for duck and goose hunting. 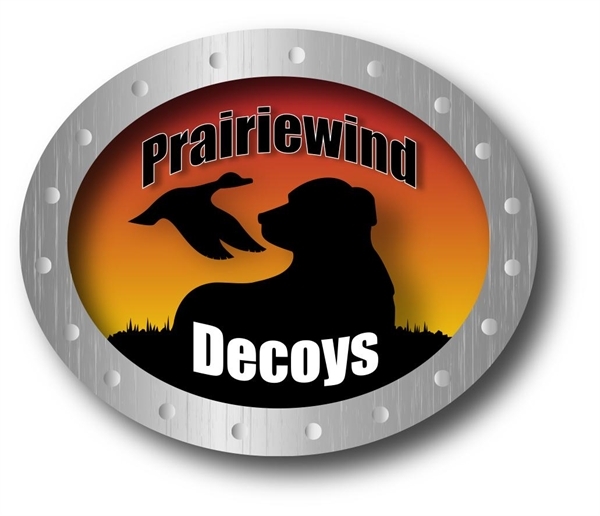 If you're one of those hunters who hunts with a dog and wants to hunt where the ducks are, this is an essential piece of equipment! This stand produces a sturdy platform for your dog just about anywhere! 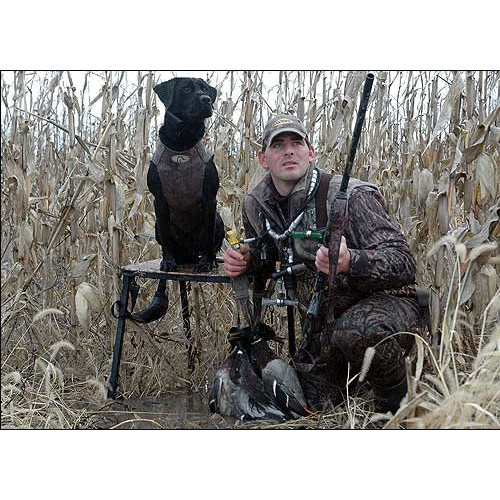 The Jr. Ruff Stand (AV90018) by Avery Outdoors has four sturdy legs made from lightweight, durable fluted aluminum tubing that let you quickly adjust the height of the stand from 18.5" to 29" tall in 2" increments. It has a Muck Stop on the lower legs that keep it from sinking in the mud. The platform is made from indestructible polyethylene and measures 22 x 18", so it's large enough for any dog to comfortably sit upon, and for most dogs to even lay down upon. Super-duty 0.125" thick aluminum hinges assure long life to the moving components. The stand folds to 22" x 18" x 2" for transport, and comes with both a carry handle and a shoulder strap for easy carrying. This dog stand weighs about 9.5 pounds and it has a maximum weight capacity of 150 lbs. 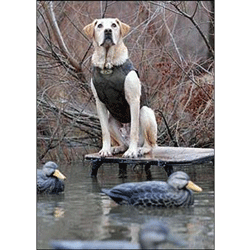 Waterfowlers who hunt ducks late in fall and into winter are dealing with really cold water temperatures that can cause hypothermia in dogs in a short amount of time. 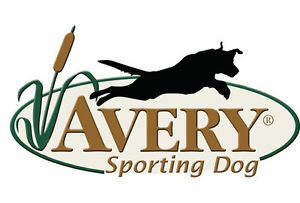 Keep your retriever warm, safe, and dry with an Avery Jr. Ruff Stand. Keep your dog up out of the water!